Recently, reservation-booking service OpenTable conducted a survey of over 7,000 diners across Canada, and as many as 70% of them agree. But just how exactly technology can improve food service is a completely different issue altogether – one that many business owners have been forced to confront, or face being left behind in today’s swiftly-evolving restaurant industry. From counter-service restaurants to fine dining eateries, here are 6 technologies you should explore for your business. Your menu is listed on mobile ordering provider's site, where patrons can place an order which gets sent directly to your restaurant’s kitchen. While you're working on the order, updates are sent out to the customer to keep them apprised of progress. Once the order is complete, you send a driver out with the delivery. Simple as that. 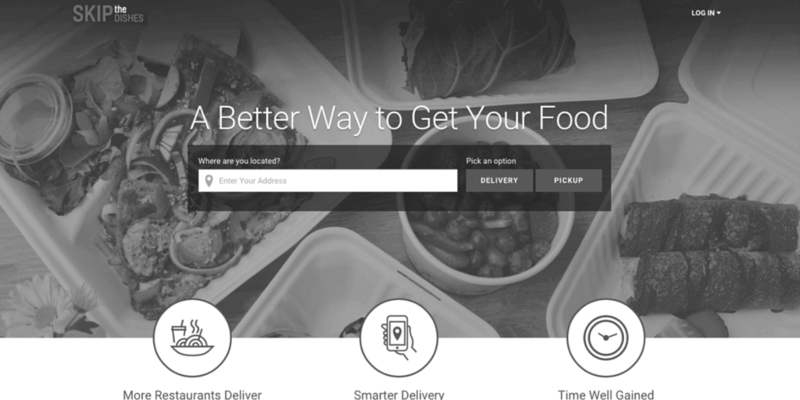 You can set a minimum order, a delivery fee, and a radius to which you’ll transport food to. With an average of 234,700 orders processed through just GrubHub daily, there’s no real downside to using a mobile ordering technology provider. When asked about using tabletop touchscreen devices to place an order at a restaurant, over half of all respondents indicated that they had – and 80% of those who had said they enjoyed doing so. 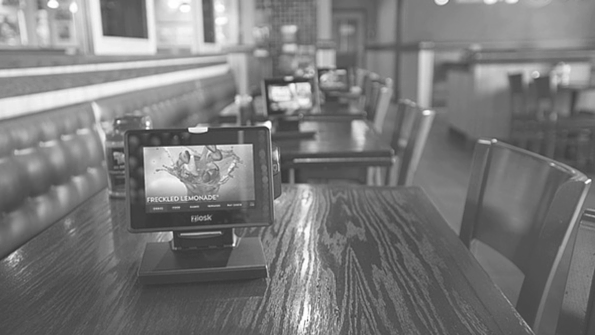 Tex-mex chain Chili’s recently received a “Restaurant Breakthrough Award” from Hospitality Technology Magazine after partnering with tabletop tablet maker Ziosk. Together they boosted customer engagement by installing a 7-inch tablet at every table, equipped with a credit card reader for point of sale, virtual games, menu items, and news stories. And patrons aren’t the only ones who benefit. Since partnering with Ziosk, Chili’s has seen a 3,000% increase in customer service survey responses. The feedback makes it easy for schedulers to move staff around based on performance, and to identify any holes in restaurant operations. If you’re still hanging a spreadsheet schedule on the wall of your business, you’re living in the past. Restaurant scheduling software will help you effectively organize your staff so that you’ll never have to worry about overstaffing, or scrambling to recruit last-minute help again. You’ll avoid annoying “What time am I working tonight?” phone calls, be able to communicate with staff virtually, and send mobile reminders to forgetful employees. An organized business is an efficient business. Investing in a scheduling management solution like Ameego will also help create better labor forecasts so that you consistently hit your labor goals. In today’s world, this one should go without saying. If your business doesn’t have an online presence, that needs to change…ASAP. 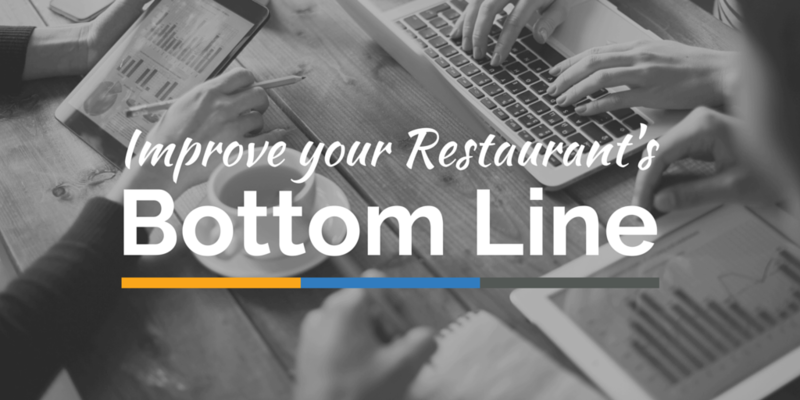 More Importantly, research has shown that 82% of Canadian diners check the internet to take a look at your menu before they come into your restaurant for a bite, and 54% of respondents said they get online to read reviews and see pictures of your food. Your menu should be online so that patrons know what to expect when they walk through the door. 66% of Canadian diners say they want to know daily specials before they even arrive, so go above and beyond to keep your menu up-to-date. You need to claim your Yelp page to manage reviews of your restaurant, engage with your patrons, and share photos of your food and dining space to give a better idea of what you offer. This technology has been around for a while now so if you're not using...time to start. Nobody likes waiting for a table. And that’s why on high-traffic dine-out days, diners turn to services like OpenTable to book reservations at their restaurant of choice. Customers can book seats through OpenTable on your your restaurant’s website, or by going directly to the OpenTable site, logging in, and searching for your establishment. Then they indicate the date and time they want the table for, the number of people in their party, and voila! They either get a message notifying them that their table is reserved, or that there are none available for that particular day or time. 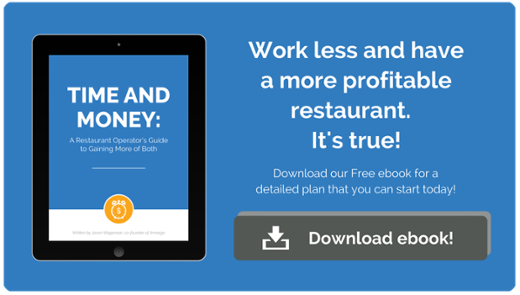 With 77% of Canadian diners saying that making reservations is one of their biggest reasons for using restaurant technology, this is one service you can’t afford not to be a part of. Paying your meal from your phone is still fairly new tech. Infact, only six percent of Canadians have ever used a mobile app to pay for their meal. And while that might imply that there’s not much demand for such a service, consider this: 47% of respondents who claimed they had never used a phone to pay a restaurant tab said they liked the idea. Well, it’s time to give the people what they want. Partnering with mobile payment providers like Tab, Dash, and Tabbed Out, means streamlining the check-out process at your establishment. Instead of making patrons fight for the attention of busy wait staff during peak hours, they can simply pick up their phone and pay the bill with a few taps of a button. Managers get a notification when the bill has been paid, staff love it because they are seeing larger tips as a result, and patrons need not wait for their bill. Which technologies make most sense for your business? Not all of these solutions make sense for every business. The best you can do is test the ones with the biggest upside for your restaurant, and keep experimenting with new technologies until they boost your bottom-line.